The stakes were high for British newcomer Phillipa Hemphrey heading into the Spring/Summer 2015 season given her superlative Fall/Winter 2014 debut opening for J.W. Anderson and an ensuing lion's lair of editorial and campaign bookings. The seventeen year old lanky beauty has been on high alert with casting directors and designers since scoring lucrative Fall/Winter 2014 campaigns for J.W. Anderson and Marc Jacobs, in addition to lens time with Patrick Demarchlier, Paolo Roversi, David Sims, Sølve Sundsbø, and Jamie Hawkesworth while shooting for Vogue Italia, Love, Paris Vogue, and M Le Monde. 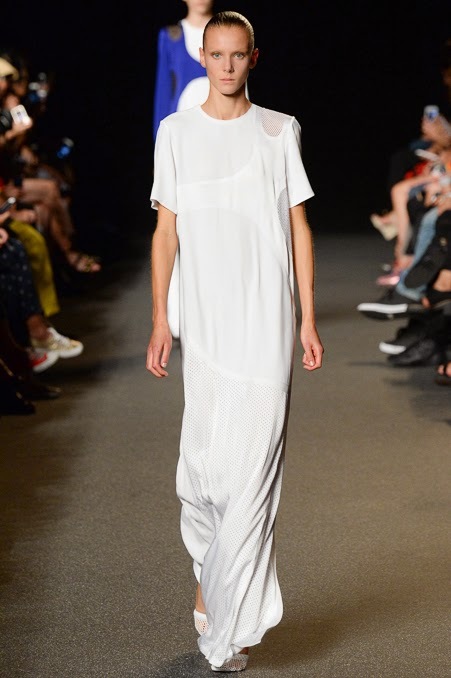 The New York Model Management and Premier Models-repped beauty continued her dream run throughout the Spring/Summer 2015 season logging runway mileage at Alexander Wang, Proenza Schouler, Marc Jacobs, Victoria Beckham, Narciso Rodriguez, J.W. Anderson, Acne Studios, Loewe, Céline, and Louis Vuitton. Hemphrey's highly selective show list with its quality versus quantity pitch will no doubt add to the newcomer's blue chip sheen. The stunningly versatile Brit was singled out by Premier founder Carole White in her local Kent and has been modelling part-time while completing her high school education. White who has engineered the career trajectories of the original Supers Naomi Campbell, Cindy Crawford, and Claudia Schiffer says of Hemphrey, "She is a very bright girl - very organised and focused on everything she does, and she has determination and strength of character. This is what you need to be a successful model these days." Hemprey's towering 181 cm frame and unembellished beauty that veers between a powerful androgyny and an effortless chic, will no doubt appeal to high end fashion brands and ensure her a "model as muse" propensity amongst designers and image makers. On the eve of the Spring/Summer 2015 shows, Hemphrey cut straight to the chase with IMA about her hopes for the season ahead, the unique appeal of the new wave of British models, and why models have come full circle - nabbing covers and campaigns en masse. Inoubliable Model Army (IMA): Hi Phillipa, thank you for chatting with IMA. Since your debut at the Fall/Winter 2014 collections, you've galvanised industry attention via a slew of blue chip runway, editorial, and campaign bookings. How would you describe the past six months and are you in awe of the positive response you have received from key industry players? Phillipa Hemphrey (PH): I know I always say it but the last six months have been so surreal. Since the prospect of modeling came about I had hoped that I could give it a go but I could never have imagined it to have gone the way it has! I am so thankful to everyone who has supported me and given me these amazing opportunities. 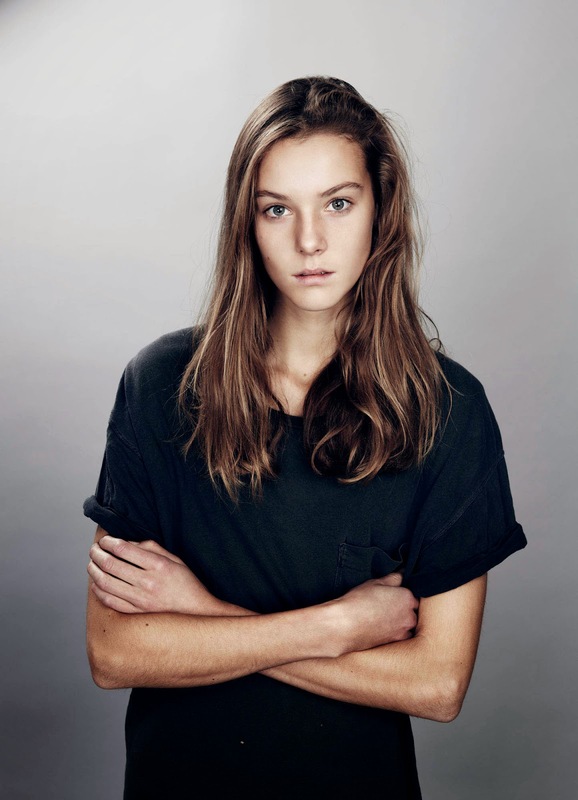 IMA: Being a relatively new face to modelling, would you mind sharing your backstory with IMA's readers? PH: I am 17 years old and I live in a seaside town in Kent, England. I was scouted when I was eleven years old but I only started doing test shoots at age fifteen. My modelling career started in earnest six months ago, walking for J.W. Anderson at the Fall/Winter 2014 shows. 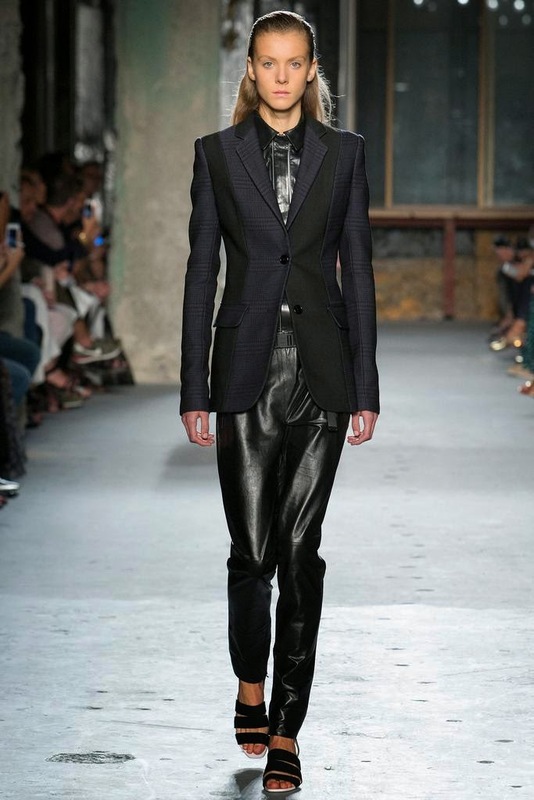 IMA: Your Fall/Winter 2014 show list included an opening slot at J.W. Anderson and appearances at Christopher Kane, Céline, Sonia Rykiel, Alexander McQueen, and Louis Vuitton! What were your expectations heading into your debut season and are you excited about the impending Spring/Summer 2015 show season? PH: My casting for J.W. Anderson was only two days before the actual show so it was so last minute I didn't have time to realise that I was jumping into London Fashion Week. I enjoyed my first show so much, I was excited and ready to do more! I cannot wait for the Spring/Summer 2015 season as I really want to walk for as many top shows as I can, but at the same time I am nervous as it will be my second season and I want to do better than before! IMA: Casting directors see literally hundred of new faces each show season. Do you have a strategy heading into castings and what do you feel are the key attributes for making a positive impression? PH: I do not have any real strategy, I didn't even realise the full extent of what casting directors were! I think the main thing is to be polite and grateful for their time but also to be yourself. IMA: Over the past few months, you've appeared in editorials for Vogue Italia, Paris Vogue, and Love Magazine lensed respectively by Paolo Roversi, Patrick Demarchelier and Sølve Sundsbø. Does posing in front of the camera come naturally to you and how do you psyche yourself into character for a shoot? PH: It's strange as I am a terrible actor and normally hate posing for pictures with friends but on shoots I find it much easier because there is a theme and you have a sense of purpose. IMA: Recently you sat your British A Level exams. How are you managing to juggle the demands of school with high profile modelling assignments? And now that you've had a taste of modelling, do you plan go full-time upon graduation and if modelling hadn't interceded what alternate career path would you consider? PH: By the time I was missing a lot of school for modelling, we were mostly doing revision so it wasn't too bad. During the exam period I became very stressed but I think that is more because I had set my standards high and was intent on achieving my goals. I really want to pursue modelling and see where it can take me because I have thoroughly enjoyed it so far. I have never been sure about university because I am not too keen on the idea of being tied to education for another three years. I have always been intrigued to see and explore the different cultural aspects of the world so I would have chosen to travel. IMA: Did you hold any preconceived notions about modelling prior to entering the industry that have since been dispelled? PH: I very wrongly assumed that lots of people in the industry would be either mean or selfish but I could not have been more wrong. Most people are so nice and everyone really looks out for each other. 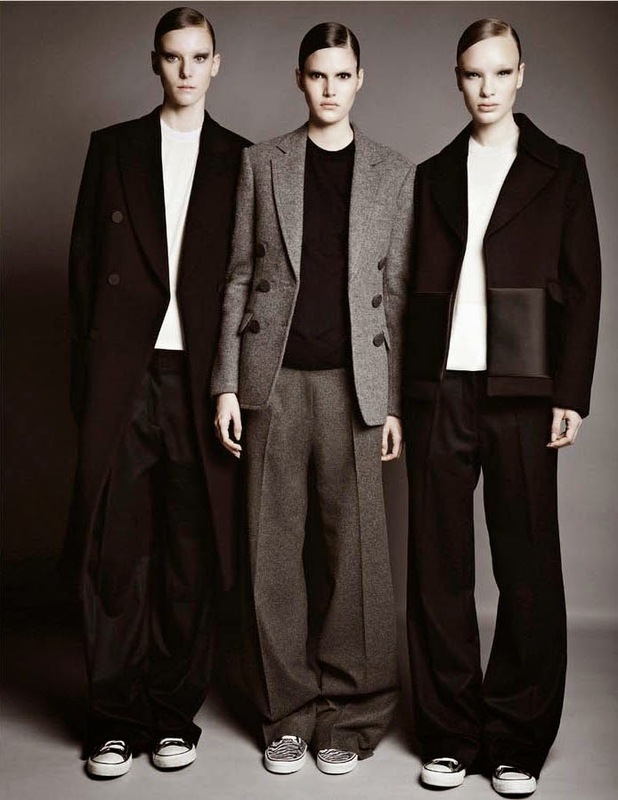 IMA: Your Fall/Winter 2014 campaign berths for Marc Jacobs and J.W. 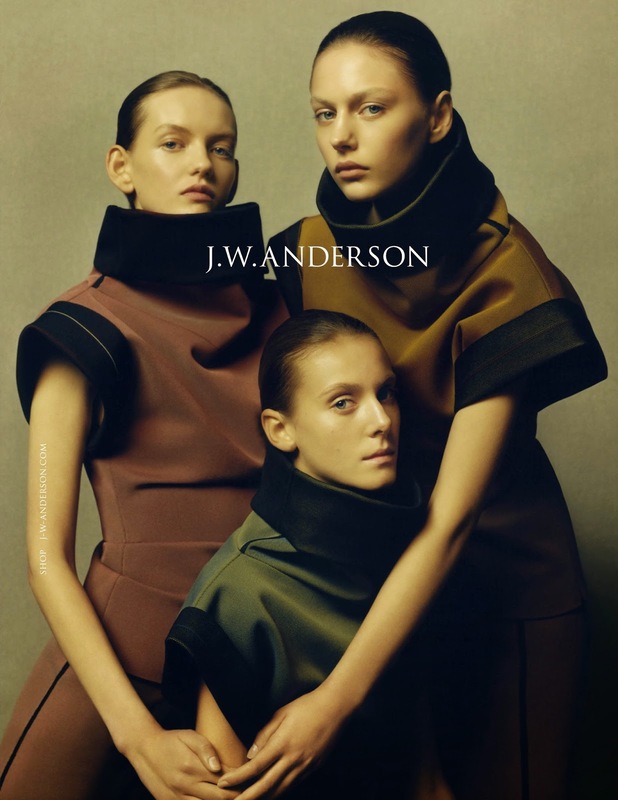 Anderson have the industry abuzz. Did you enjoy the process of collaboration on both shoots with photographers David Sims and Jamie Hawkesworth? PH: The two photographers are very different and I loved working with both of them for different reasons. Doing the campaign for Marc Jacobs was so special because I went to meet David Sims on the Wednesday and then after I left I got a call to say I would be going to New York that weekend to shoot the campaign! To shoot the campaign for J.W. Anderson, I had been told about a month before. It was a long day in a strange derelict school but Jamie is always such good fun to work with. IMA: British models are currently carving up the international runway circuit with yourself, Brogan Loftus, Sam Rollinson, Malaika Firth, Edie Campbell, Neelam Gill, and Hollie May Saker representing. What do you feel is unique about this new generation of British girls which has the fashion industry completely captivated? PH: Although being British, I think it is fair to say we all come from different upbringings and backgrounds which makes us all distinctly individual. Also from what I have seen, we all enjoy what we do and are not affected by the high profile status that sometimes is expected in the fashion industry. IMA: Aside from the obvious physical demands, modelling requires a strong mind, a thick skin, and a steely determination to succeed. What have been the greatest challenges that you have faced to date as model and what advice would you offer to young girls considering a career in modelling? PH: I always set myself very high standards and want to be as successful as I can, so when I have been doing castings or fitting for shows which then have not eventuated, I have found that challenging because I am hard on myself and question what I may have done wrong. But people tell me not to take it personally so that for me is the advice I would pass on to anyone considering modelling. IMA: Models are making a massive comeback this season with the British, Amercian, japanese, and French editions of Vogue all featuring models as cover subjects for their all important September issues. What do you feel are the contributing factors which have reignited the interest in models as public figures? PH: When I was younger, people looked at models as mere human clothes hangers assuming they had no personality or brain. Top models like Karlie Kloss with her Karlie's Kookies are proving that we all have personalities and can do more than just pose, and also have the ability to inspire people. IMA: You are represented by a formidable team of agents at New York Models and Premier in London who have guided your career trajectory with blue chip precision. What do you value most about your agents and their management approach? PH: I could not be more thankful to everyone who has given me the opportunities I have had and helped me get to where I am. My agents are always so nice and really have my best interests in mind. IMA: Models are often seen as arbiters of style. How would you describe your fashion aesthetic and what are your current wardrobe essentials? PH: I have a very simplistic style. I often see other people wearing really cool clothes and think I should try something like that but than I never feel comfortable so I tend to stick with classic and simple pieces which I hope works. PH: I like to think I am anything but fake, and I am not trying to be anything that I'm not. I love to chat and I hope people like and remember me for being a polite, friendly person.